The alarm rang and it hit me, “I didn’t know how the sermon would go!” Since I had to preach in 4 hours, this really concerned me. I worked on that message for 20 days straight! Those who showed up yesterday might not believe, it but I actually practiced 12 times before stepping on stage yesterday. Yet, despite three weeks of work, yesterday‘s message reflected far more of God‘s handiwork then my discipline. I had a fairly simple premise: God provides the strength for us to get through what He leads us through in His way. To teach this I looked to God’s promise to David in 2 Samuel 7. I wanted to show from the life of David how God explicitly deserves credit for David’s success. David did not pull himself up by his sandal straps. God made him. Then I hopped over to Matthew chapter 6 and we took a look at Jesus’ command not to worry. 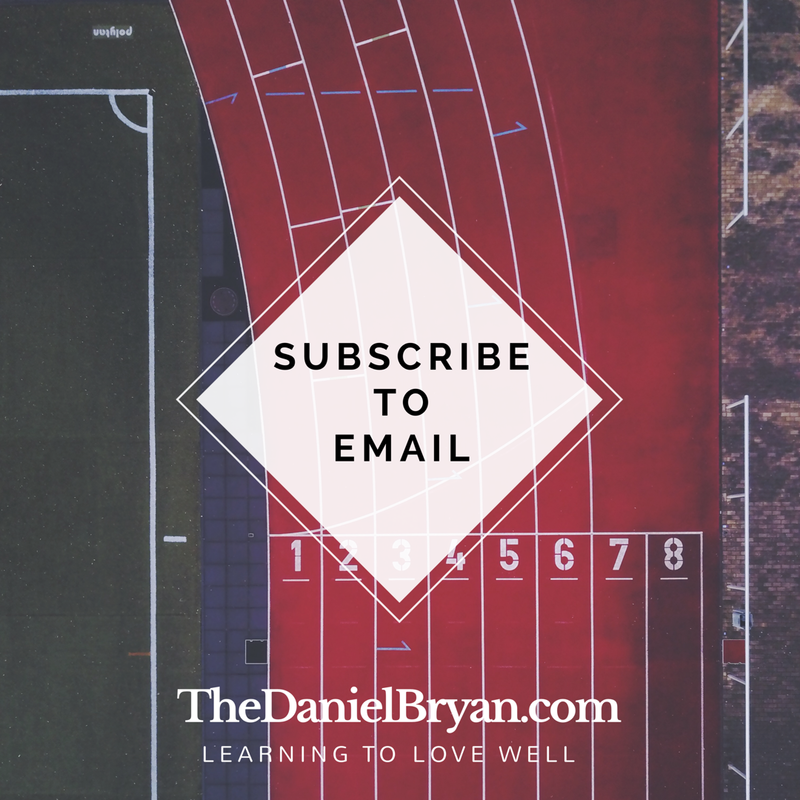 The premise seemed fairly straightforward… Talk about God’s promise to provide for David and then talk about Jesus’ promise to provide for us. Yet, no matter how many times I practiced teaching this, it struck me as shallow. Practice after practice left me disheartened more than clarified. Talking through the sermon with Ashley and my dad, a pastor, helped me out some. But in the end, late Saturday evening, I finally turned Sunday over to God. Ironically I felt like I knew less about the direction of the message Saturday night than I did three Mondays earlier. Two weeks ago we changed things up in church. Apparently October 15 was our church’s unofficial travel day with more than 1/3 of the people gone out of state. So to compensate we took out two parts of the main service and replace them with a community scripture reading and prayer. In other words, instead of having someone on stage read something from the Bible, we had everyone read together. And instead of having someone on stage pray for the church we had everyone break into groups and pray for each other. Incredible encouragement and community happened when we did this. I decided to keep this change one more week. Sunday morning I still didn’t know how the sermon would go. Then it struck me, why don’t I ask the church? Everyone seemed to enjoy the community fellowship and prayer time. Why don’t I simply invite people to share their experiences of how God provided for them? I quickly fired off text messages to three guys I knew I could talking into speaking publicly. Then I prayed like crazy through Sunday school. Starting the sermon I asked everyone to think of a time when God provided for them. Then I asked everyone to write down one word or date which reminded them of that experience. Then I prayed and started preaching about the two passages I planned to cover. I walked through my sermon fairly quickly with relatively little explanation on the Scriptures. Then I got to the end and I shared about how God provided for our family throughout our battle with leukemia. Honestly, I figured the story of our struggle with leukemia was practically boring to them. (I have shared a lot about our journey. ) However, I thought I would share it to give a little perspective. Then I opened up the floor to people sharing their stories and I hopped on chair to wait. Knowing how much people don’t like talking in public I expected to twist my elders’ arms into sharing and then get one or two others. I was totally surprised! Person after person after person spoke up to share how God provided for them. I nearly teared up on stage. My elders actually were the last ones to share. So many people both had stories to tell and really wanted to talk about God‘s goodness! God surprised me! I didn’t say anything particularly profound. The stories God unlocked spoke more than I could have written. First, I will continue laying out every message before God and asking him to show up like He did yesterday. Second, I will exercise even more diligence in clarifying my sermons before Sunday. I love how God surprises me with his generous provision! To God belongs all glory!